West Ham have released a statement condemning their own fans, after a video of a number of them singing anti-semitic chats aimed towards Tottenham was posted online. West Ham suffered a narrow 2-1 loss to Man United at Old Trafford on Saturday, with two Paul Pogba penalties proving to be the difference between the two sides in the end. 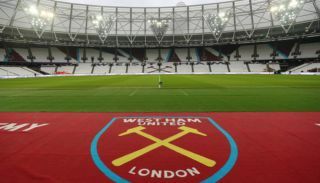 That wasn’t all the bad news for the Hammers though, as before the game, a video emerged online which depicted a number of the club’s supporters singing anti-semitic chants aimed towards London rivals Tottenham. This was picked upon by the club itself, who were quick to release a statement on the matter, condemning their own fans in the process. The incident was posted on Twitter just hours before the Hammers’ game against United, and a video of the incident can be seen below. This is obviously a horrible thing for West Ham to try and deal, and it seems like some fans just aren’t that willing to try and help remove discrimination from football any time soon.